SSC CGL (Tier - 1) Previous Year Solved Paper - 2010 "English Comprehesion"
Directions (1-5): In the following questions, some of the sen­tences have errors and some have none. Find out which part of a sentence has an error. The number of that part is your answer. Your answer is (d) i.e., No error. 1. He is a university professor (a)/ but of his three sons (b)/ neither has any merit. (c)/ No error (d). 2. After knowing truth,(a)/ they took the right decision (b)/ in the matter. (c)/ No error (d). 3. It is time you (a)/ decide on your next (b)/ course of action. (c)/ No error (d). 4. He who has suffered most (a)/ for the cause, (b)/ let him speak (c)/ No error (d). 5. A cup of coffee (a)/ is an excellent complement (b)/ to smoked salmon. (c)/ No error (d). Directions (6-10): Sentences are given with blanks to be filled in with an appropriate word(s). Four alternatives are suggested for each question. Choose the correct alternative out of the four. 8. It was very kind of you to do the washing-up, but you _ it. 9. He went sea alone. 10. The……of our civilization from an agricultural society to today’s complex industrial world was accompanied by war. Directions (161-165): In the following questions choose the word opposite in meaning to the given word. Directions (16-20): In the following questions out of the four alternatives, choose the one which best expresses the meaning of the given word. Directions (171-175): In the following questions a part of the sentence is bold. Below are given alternatives to the bold part at (a), (b) and (c) which may improve the sentence. Choose the correct alternative. In case no improvement is needed, your answer is (d). 21. Obviously he isn’t cut up to be. good teacher. 22. Power got with money is the most craved for today. 23. The brown shirt wants washing. 24. You are asked to copy this letter word by word. 25. The weak man is a slave to his sensuous pleasures. Directions (26-30): In the following questions, out of the four alternatives, choose the one which can be substituted for the given words/sentence. Directions (31-35): In the following questions, groups of four words are given. In each group, one word is correctly spelt. Find the correctly spelt word. Directions (36-40): In the following questions, the 1 stand the last sentences of the passage are numbered 1 and 6. The rest of the passage is split into four parts and named P, Q, R and S. These four parts are not given in their proper order. Read the sentence and find out which of the four combinations is correct. Then find the correct answer. 36. 1. Education in India had a glorious beginning. P. But after the British rule, it faced many changes. Q. It went on for centuries with the same glory. R. English as the medium of instruction had a very great response. 37. 1. It is easy to criticize the people at the helm, for the slow progress in every field. S. First, we should ask ourselves as to what is happening to the young intellectuals in India. 6. This situation of ‘Brain-Drain leads to a variety of problems. 38. 1. It is the responsibility of parents to teach the young moral values in life. 39. 1. The man who does his duty without any selfish desire for fruit may be called a sanyasi as well as yogi. 40. 1. This was an important day for at took. S. Then he put on mittens and boots of deerskin to protect his hands and feet from the cold. 6. Finally he picked up the gun he had cleaned so carefully the day before. Directions (41-45): In the following questions, a sentence has been given in Active Voice/Passive Voice, Out of the four alternatives suggested, select the one which best expresses the same sentence in Passive/ Active Voice. 41. They have made a film based on this novel. (a) A film was based on. this novel and made. (b) A film have been made based . on, this novel. (d) A film has been based and made on this novel. 42. The people couldn’t move me to the hospital and the doctor operated on me at home. (a) I couldn’t be moved to the hospital and was operated on at home by the doctor. (b) I couldn’t be moved to the hospital and I had to be operated on at home. (c) I couldn’t be moved to the hospital and I was operated at home by the doctor. (d) I couldn’t be moved to the hospital by the people and operated on at home. 43. Why did he deprive you of the membership ? (a) Why you were deprived of the membership? (b) Why were you deprived of his membership by him ? (d) Why were you deprived of your membership by him ? 44. The news has been brought to us by him. (a) He brought us the news. (b) He has brought us the news. (c) He was brought the news to us. (d) We brought the news to him. 45. Not a word was spoken by the criminal in self-defence. (a) The criminal spoke not a word in self-defence. (b) The criminal in self-defence spoke no word. (c) The criminal did not speak a word in self-defence. (d) The criminal spoke in self­defence not a word. Directions (46-50): In the following passage, you have one brief passage with 5 questions following the passage. Read the passage carefully and choose the best answer to each question out of the four alternatives. Every profession or, trade, every art and every science has its technical vocabulary, the function of which is partly to designate things or processes which have no names in ordinary English and partly to secure greater exactness in nomenclature. Such special dialects or jargons are necessary in technical discussion of any kind. Being universally understood by the devotees of the particular science or art, they have the precision of a mathematical formula. Besides, they save time, for it is much more economical to name a process than to describe it. Thousands of these technical terms are very properly included in every large dictionary, yet, as a whole, they are rather on the outskirts of the English language than actually within its borders. Different occupations, however, differ widely in the character of their special vocabularies. In trades and handicrafts and other vocations like farming and fishing that have occupied great numbers of men from remote times, the technical vocabulary is very old. An average man now uses these in his own vocabulary. The special dialects of law, medicine, divinity and philosophy have become familiar to cultivated persons. 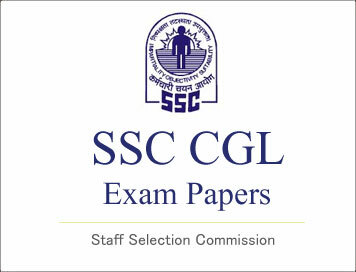 SSC CGL (Pre.) Previous Year Solved Paper - 2014, 2nd Shift "English Language"